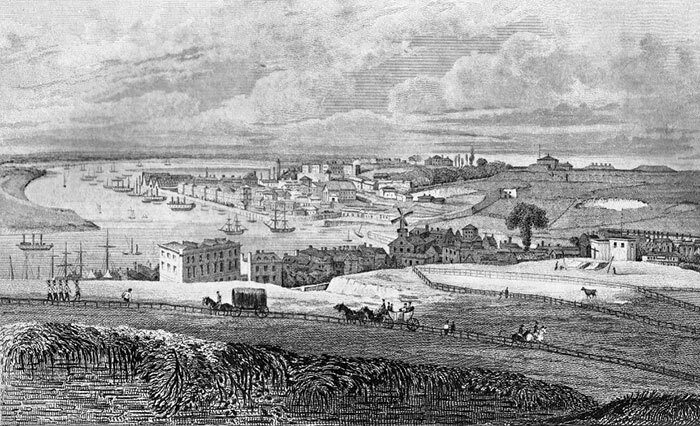 Chatham Dockyard, seen from Fort Pitt, ca. 1830. From William Henry Ireland’s A New and Complete History of the County of Kent (4 volumes), 1829–31. This image is in the public domain in the United States as its copyright has expired.